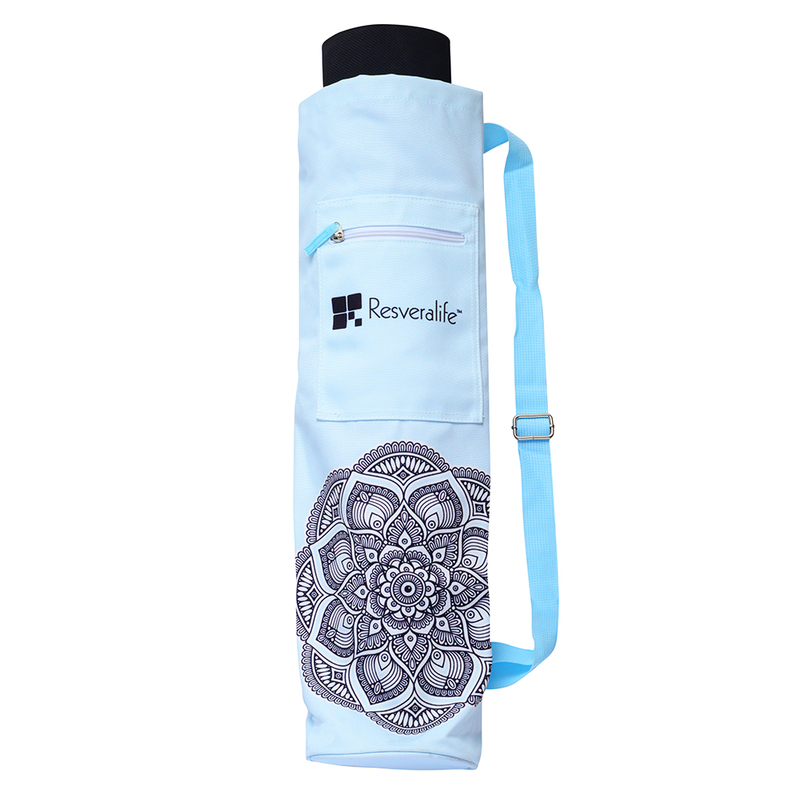 The Resveralife yoga bag is durable, stylish and sophisticated. 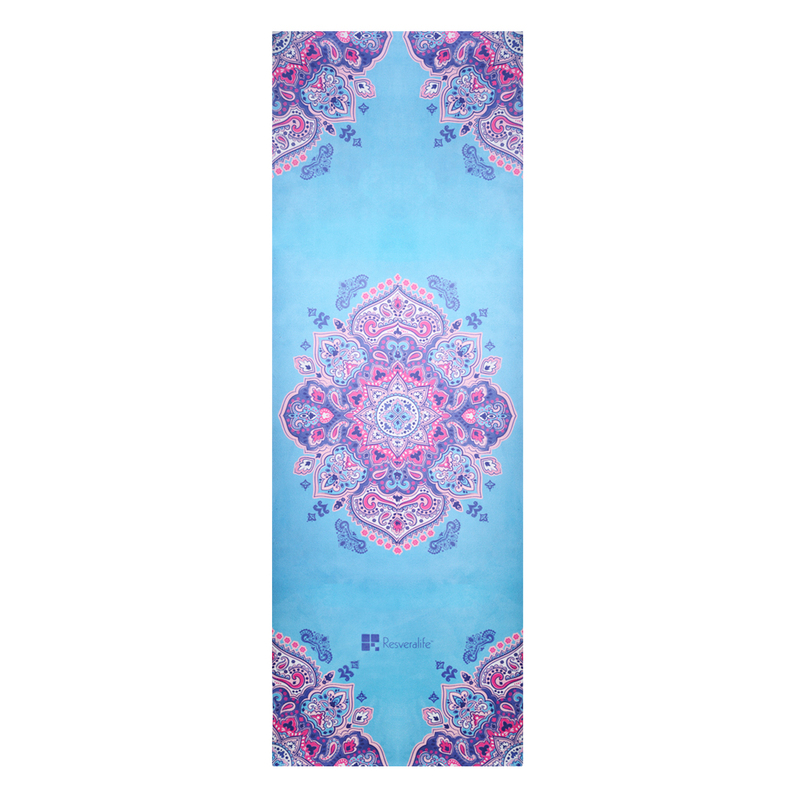 It is suitable for both men and women. 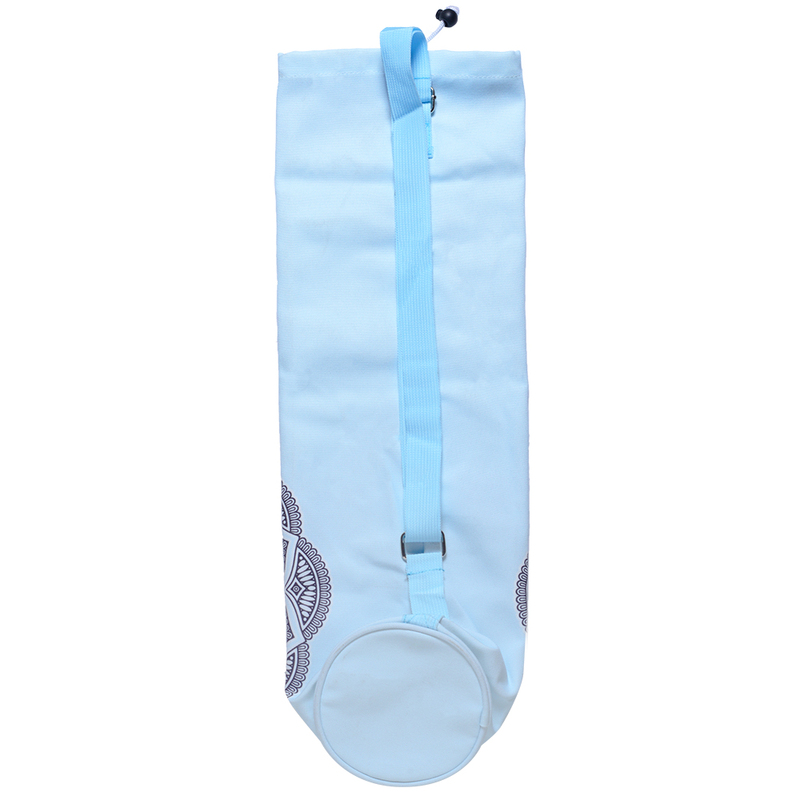 The light blue cotton canvas features a drawstring top closure and one zipper pocket for storing essentials like keys, phones, and wallets. 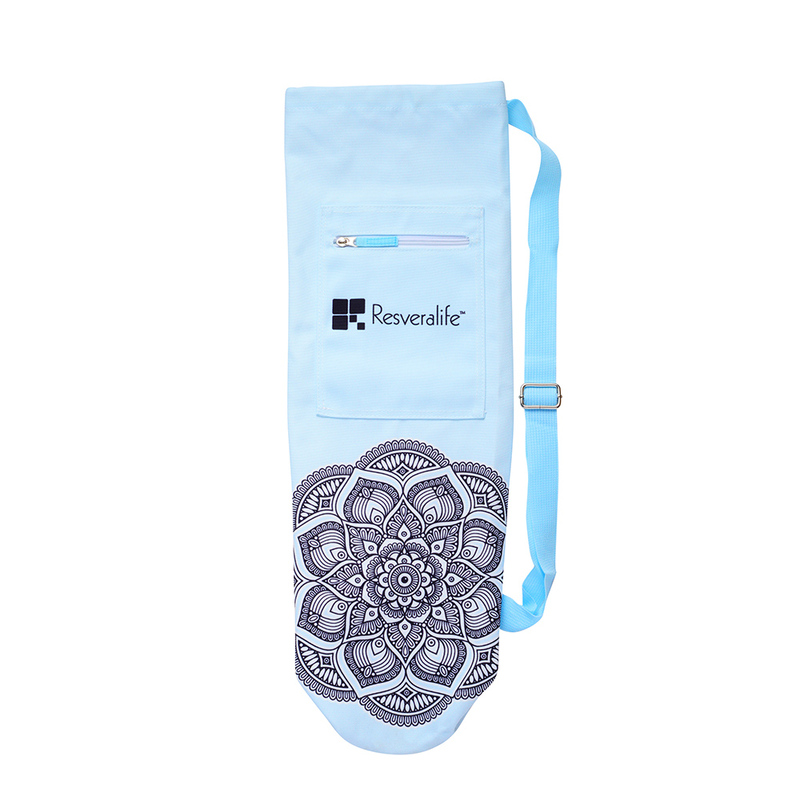 The comfortable strap is idea for carrying over the shoulder or across your body. 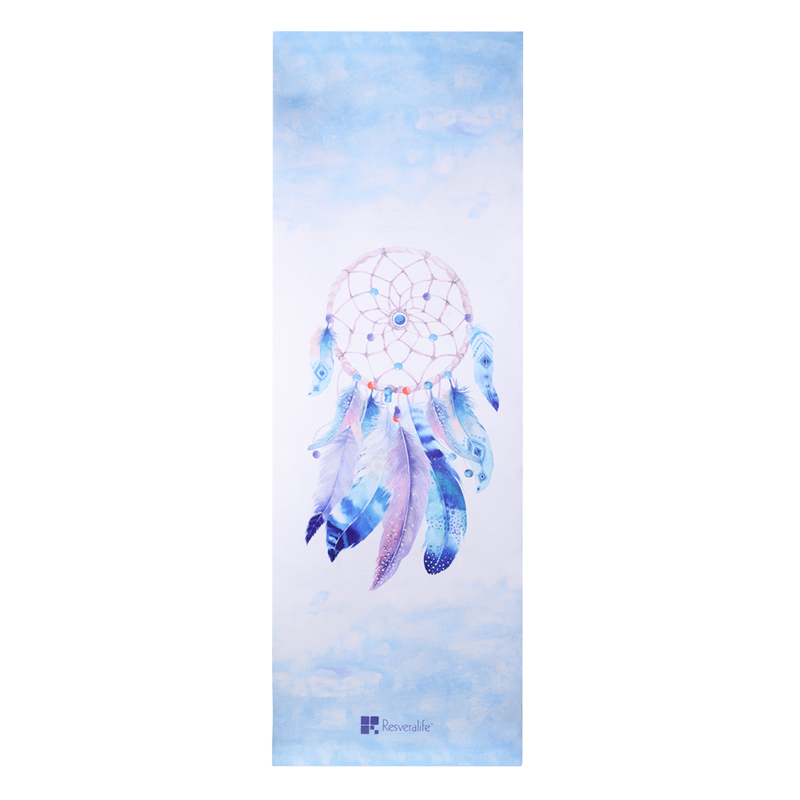 This bag fits up to 24″ wide yoga mats.